Delaware neon underglow usage is governed by the state's Code. All relevant laws, rules and regulations pertaining to vehicle lighting including car underglow in Delaware have been provided below. Make sure to examine the regulations carefully and do not use any restricted lights. Usage of neon underglow lighting is governed by Delaware Vehicle Code, Title 21: Motor Vehicles, Chapter 43: Equipment and Construction of Vehicles, Subchapter II: Lights. Is neon underglow legal in Delaware? We also highly recommend avoiding green, blue and red colors on any aftermarket lights including underbody glow, as these colors are typically used for emergency vehicles. To stay completely within the law you may want to consider using white or amber lights on the front and front sides of the car, and red lights in the rear sides and rear of the vehicle. Provisions governing these colors concern other vehicle lighting, but may be interpreted as relevant to neon underglow as well. There are no relevant DE laws which specifically restrict or prohibit installing car underglow, meaning we consider it legal to use it while driving. Below are all relevant excerpts from Delaware Vehicle Code that limit, restrict or allow certain aftermarket lights to be installed on vehicles. § 4339 Color of clearance lamps, side marker lamps, backup lamps and reflectors. (a) Front clearance lamps and those marker lamps and reflectors mounted on the front or on the side near the front of a vehicle shall display and reflect an amber color. (b) Rear clearance lamps and those marker lamps and reflectors mounted on the rear or on the sides near the rear of a vehicle shall display and reflect a red color. (c) All lighting devices and reflectors mounted on the rear of any vehicle shall display or reflect a red color, except the stoplight or other signal device, which may be red, amber or yellow, and except that the light illuminating the license plate shall be white and the light emitted by a backup lamp shall be white or amber. § 4348 Additional lighting equipment. (a) Any motor vehicle may be equipped with not more than 2 side cowl or fender lamps which shall emit an amber or white light without glare. (b) Any motor vehicle may be equipped with not more than 1 running board courtesy lamp on each side thereof which shall emit a white or amber light without glare. § 4353 Special restrictions on lamps. [...] (b) No person shall drive or move any vehicle or equipment upon any highway with any lamp or device thereon displaying a red light visible from directly in front of the center thereof. This section shall not apply to any vehicle upon which a red light visible from the front is expressly authorized or required by this subchapter. § 4355 Scope and effect of regulations. [...] (b) Nothing contained in this subchapter shall be construed to prohibit the use of additional parts and accessories on any vehicle not inconsistent with this subchapter. This provision essentially permits using additional lighting equipment as long as it’s not inconsistent with other provisions of Subchapter II: Lights. § 4356 Use of flashing lights. (a) Any motor vehicle used by a fire chief, deputy fire chief, assistant fire chief, chief engineer, fire police officer and Chief EMS officer may have placed upon such motor vehicle flashing blue and white lights. Such flashing blue and white lights shall be used by the fire chief, deputy fire chief, assistant fire chief, chief engineer, fire police officer and Chief EMS officer of any regularly established fire company or ambulance company only in the performance of their duties. The white lights permitted under this subsection shall be embedded in, or otherwise associated with the activation or operation of, the headlamps and/or the flashing turn signal lights of the vehicle. (b) A police vehicle, a volunteer fire company-owned vehicle or a City of Wilmington bureau of fire-owned vehicle may have placed upon such vehicle flashing blue and red lights or flashing blue, red and/or white lights. § 4356A Use of revolving or flashing green light. Any motor vehicle used by a fire department or police department and emergency vehicles of state, federal, county or municipal departments, or public service corporations as are designated or authorized as emergency vehicles by the Secretary of Safety and Homeland Security, may be equipped with a green revolving or flashing light for use only when the vehicle is in service at an accident, fire or disaster scene to signify a command post to which fire and police officials may report for instructions or orders, or for use on hazardous material response vehicles traveling to such scene on the request of the fire department or the police department. Such green revolving or flashing lights may only be used on a vehicle for the purposes and in the manner stated in this section. (a) It is a misdemeanor for any person to drive or move or for the owner to cause or knowingly permit to be driven or moved on any highway any vehicle or combination of vehicles which [...] is equipped in any manner in violation of this subchapter. Whoever violates this subchapter shall for the first offense be fined not less than $10 nor more than $28.75. For each subsequent like offense, the person shall be fined not less than $28.75 nor more than $100. Our information about car neon underglow laws in Delaware was last updated in 2018 and checked in 2019. In case any info we provided is not up to date or correct be sure to contact us so we can revise it. Thank you! Check our data with your local law enforcement or other relevant agencies! Delaware underglow laws in certain cities or counties may be different from state legislation. While we do our very best to provide the most accurate information about LED and neon street glow usage we will not be held liable for any potentially incorrect or misinterpreted info. Delaware Vehicle Code, Title 21: Motor Vehicles, Chapter 43: Equipment and Construction of Vehicles, Subchapter II: Lights. Delaware is a U.S. state located on the Atlantic Coast in the Mid-Atlantic region of the United States. It is bordered to the south and west by Maryland, to the northeast by New Jersey, and to the north by Pennsylvania. The state takes its name from Thomas West, 3rd Baron De La Warr, an English nobleman and Virginia's first colonial governor, after whom what is now called Cape Henlopen was originally named. 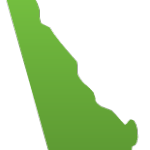 Delaware is located in the northeastern portion of the Delmarva Peninsula and is the second smallest, the sixth least populous, but the sixth most densely populated of the fifty United States. Have questions about traffic or neon glow laws in Delaware?